Eight studies from 1 Peter to encourage teenagers to stick at it. 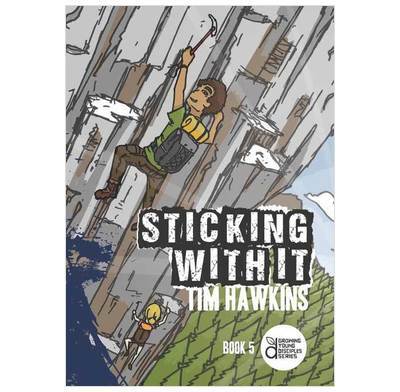 We are waiting for a decision from the publisher, Youthworks, on whether they're going to continue this series and continue to supply the UK with stock. Apologies for this delay. We'll update this page as soon as we hear. Eight studies from 1 Peter to encourage teenagers to stick at it! Dig-In Discipleship: Keep On Keeping On! Eight studies from 1 Peter to encourage teenagers to stick at it, even when their friends and those around them are giving them a hard time because of their faith. 1 Peter reminds them of the great things God has done for them already and the terrific future which He has planned for all who remain faithful to Him. Students love the vivid graphics, and will be challenged by the hard-hitting biblical material. Learn how to deal with the things that distract you from being faithful to Jesus, so that you grow in strength as you finish the race. Our group of teenagers are really enjoying using this book and learning a lot from it and they love the art work.